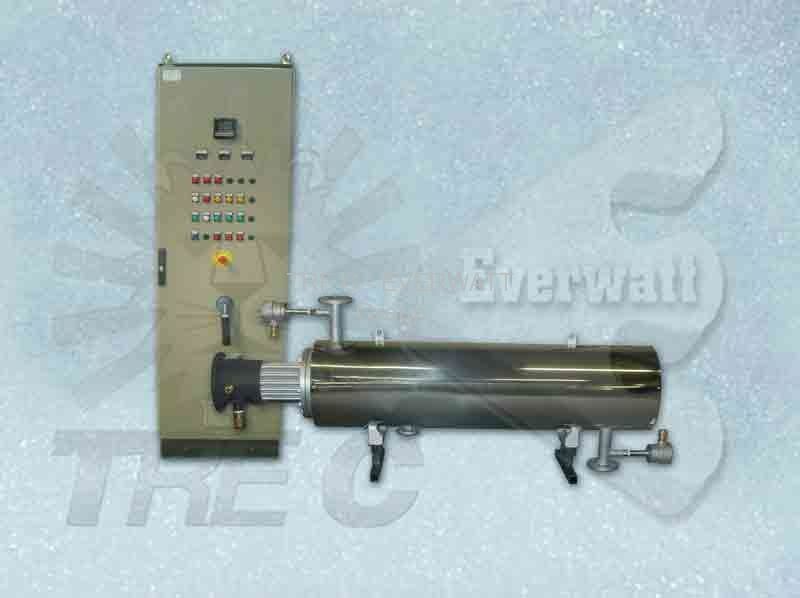 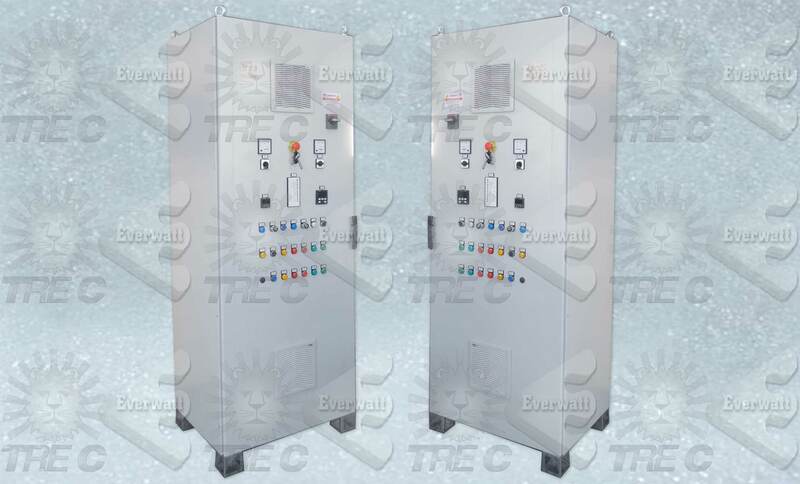 Carbon Steel control panels cabinets painted RAL 7032-IP 55 or of stainless steel, for fixed or movable installation. 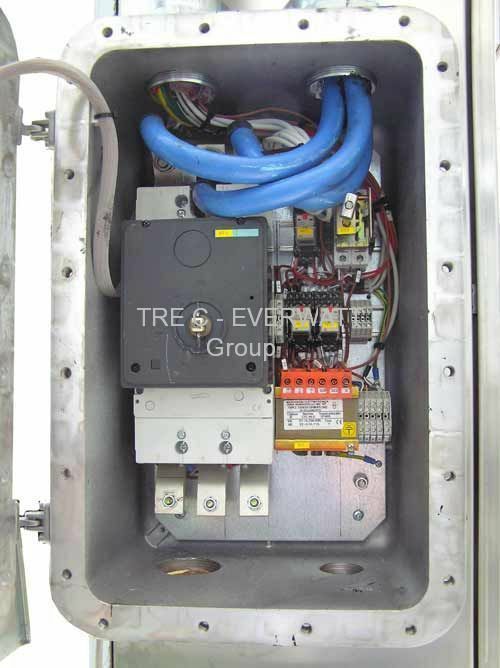 Internal diagnostics, alarm interface, functioning and additional alarm lights. 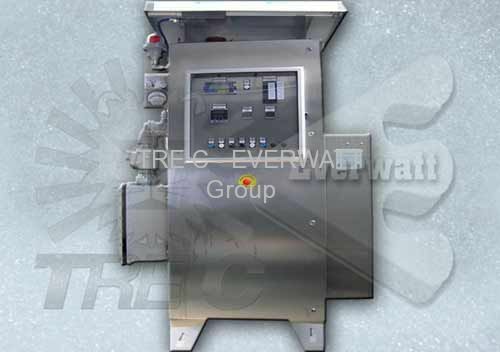 Control panel with on/off buttons and other fully wired controls, terminals, etc. 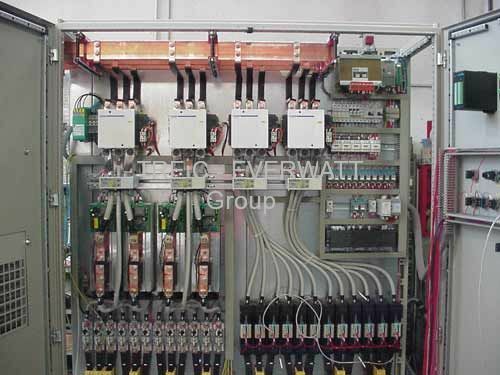 Powers up to 4 MW, also made up by more modules series connected. 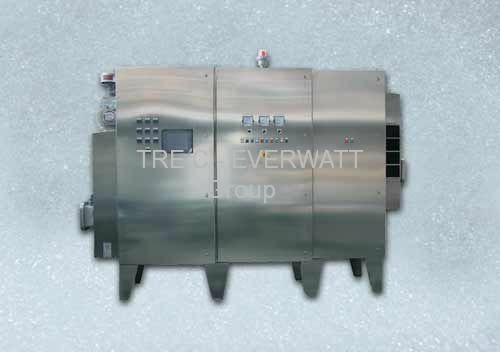 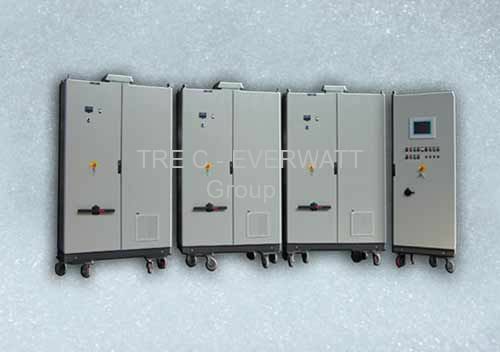 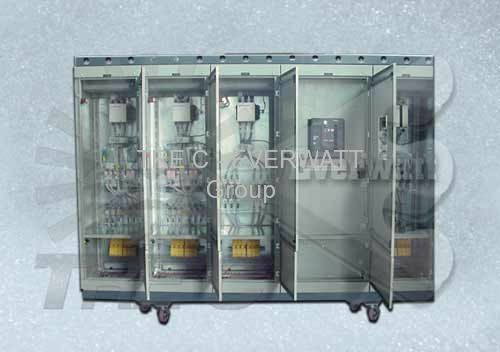 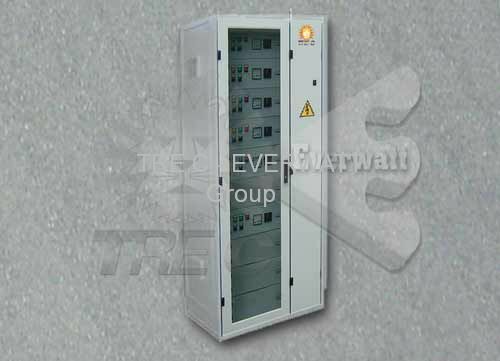 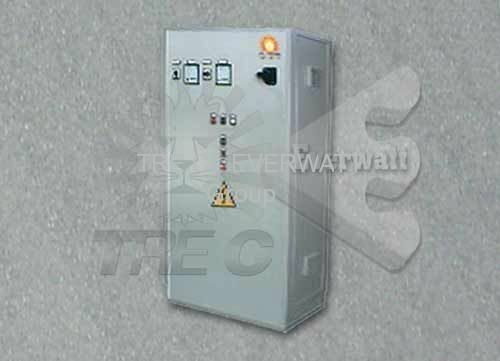 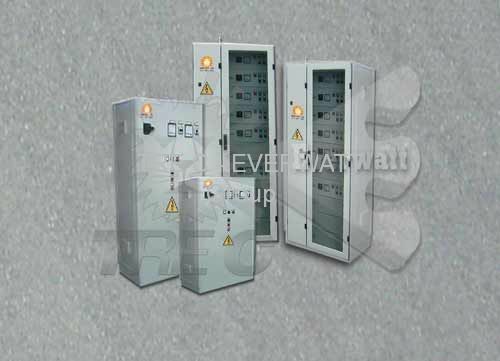 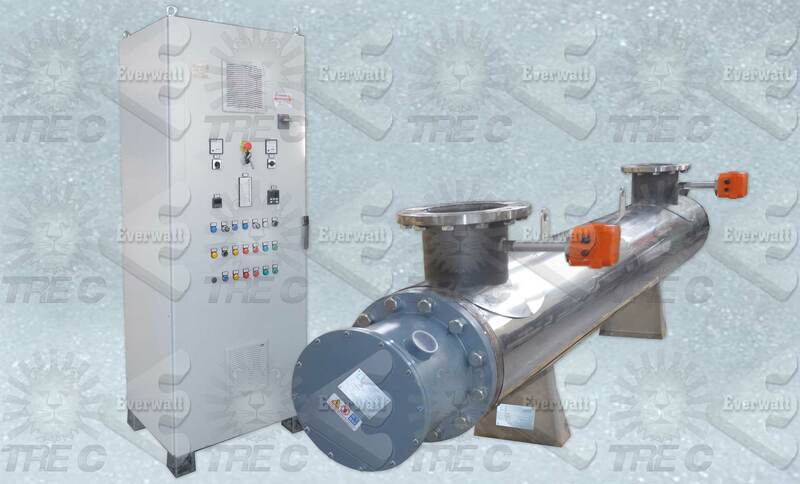 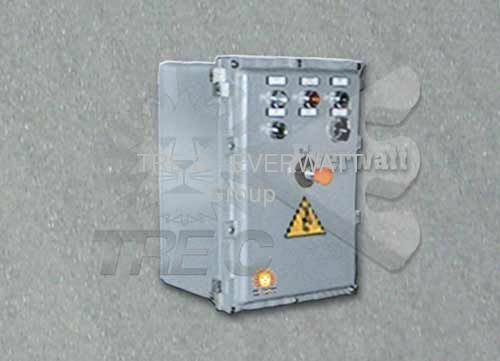 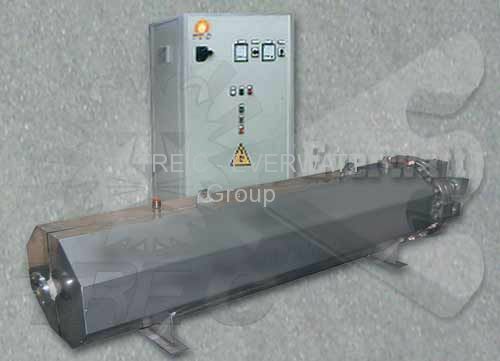 Upon request, it is also possible to equip the electric panel with single-phase 6A 70V analogue power modulators with manual control incorporated in housing IP65 or digital static relays with possibility of local or remote control. 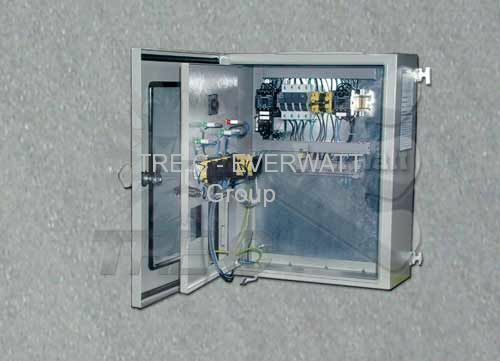 These are power static groups (thyristors or SCR) single-phase or three-phase, supply with or without dissipator, in the range with signal 0-10V16A , or up to 160A and 250A.